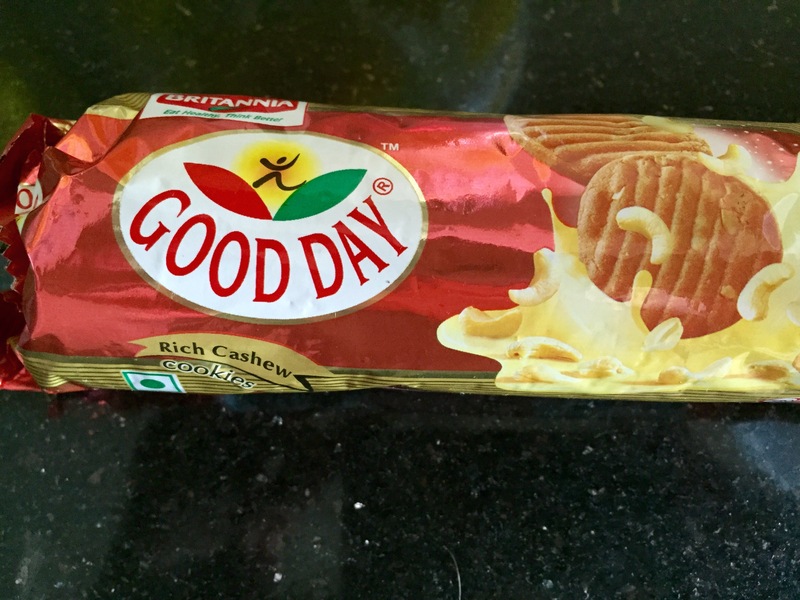 I thought I’d share a little bit about food that I eat while visiting my dad in India. First, I don’t eat Indian food all the time. There are times I do eat it and enjoy it, but there is also plenty of other food to eat, too. There are lots of places to get Italian food, so I can eat pizza and pasta to my heart’s content! In the neighborhood where my dad lives, we can walk to Chili’s, Starbucks, KFC, Pizza Hut, Domino’s, Subway, Krispy Kreme, and Haagen Dazs. At the mall we were at yesterday, we had lunch at TGI Friday’s and there was also a McDonald’s, Burger King, and California Pizza Kitchen there. If food has ever been a reason to keep you away from India, I assure you, there is nothing to worry about! If you do delve into Indian food, keep in mind a few things. First, beef is scarce or not available at all. In fact, my dad was telling me that the sale of beef in Mumbai is actually illegal. So the burgers I saw on the menu at Chili’s and Friday’s? Dad says they are likely buffalo. Now, be prepared to eat vegetarian. Many Indian dishes don’t have meat, and if they do, well, it’s likely chicken or lamb. Also, don’t be tricked into thinking vegetarian means healthy! Lots of Indian food is prepared with ghee, which is clarified butter. It sure gives the food a richness but doesn’t make it good for you! It is also common to see paneer in Indian dishes, which is a curd cheese. People say it’s cottage cheese but it’s not like we have at home. It’s cubed and it’s good! 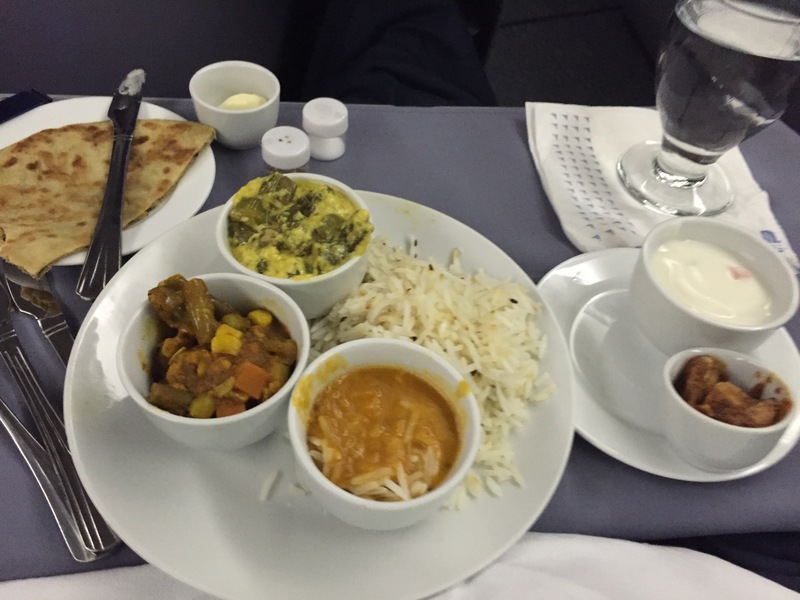 My favorite thing to eat while here is paneer tikka masala, which is paneer in a rich gravy. So good and so not good for you! Oh, and yes, be prepared for the food to be spicy! How about some novelties? I love going to Haiko, the local grocery store. There are so many unique things to see. I wish I was allowed to take pictures but photography is not allowed in Haiko. So I’ve got some pictures I took of things we bought at Haiko or that my dad picked up at the store at his work! Mangoes that taste like candy! 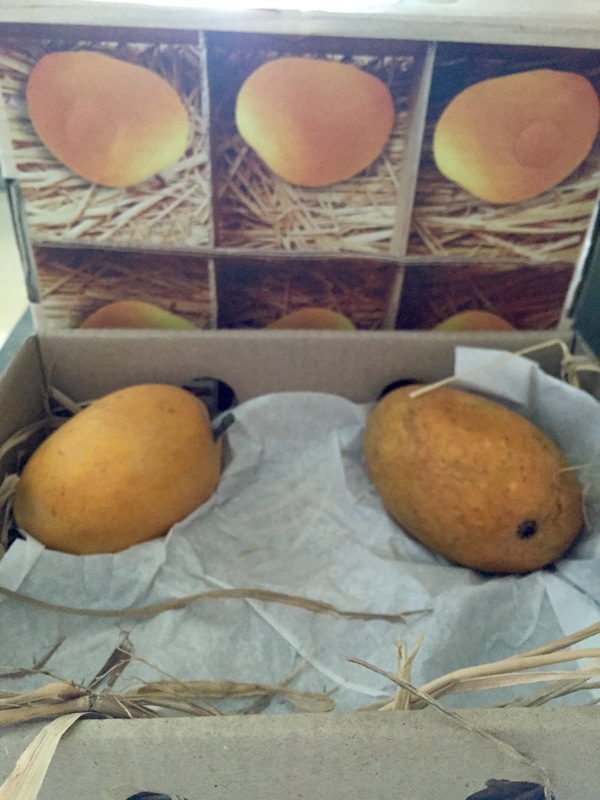 It’s mango season here right now, and the mangoes here are nothing like the mangoes at home. These are as sweet as candy. I don’t want the folks at Weight Watchers to know because they might not let my mangoes be 0 Points! 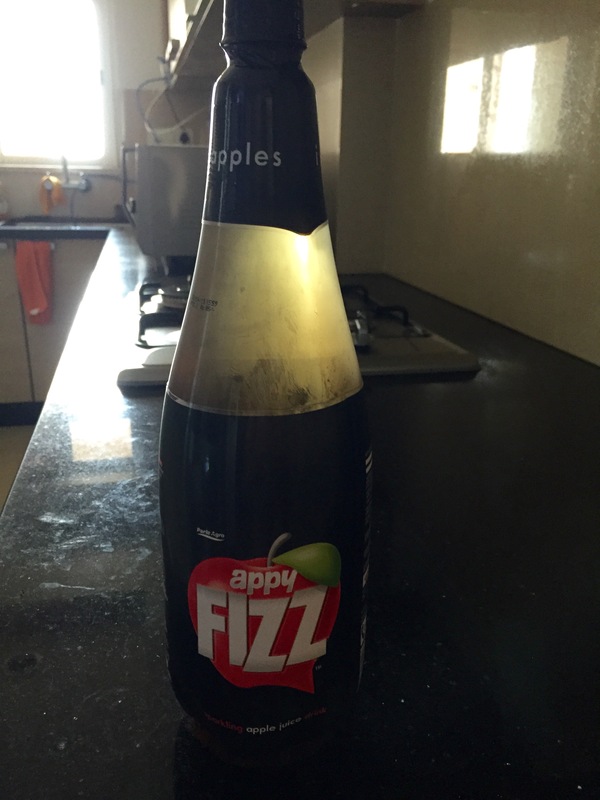 Appy Fizz is this really yummy carbonated apple juice drink! It is seriously addictive! I’m hoping I can find it somewhere once I’m home! Thirsty for something else? 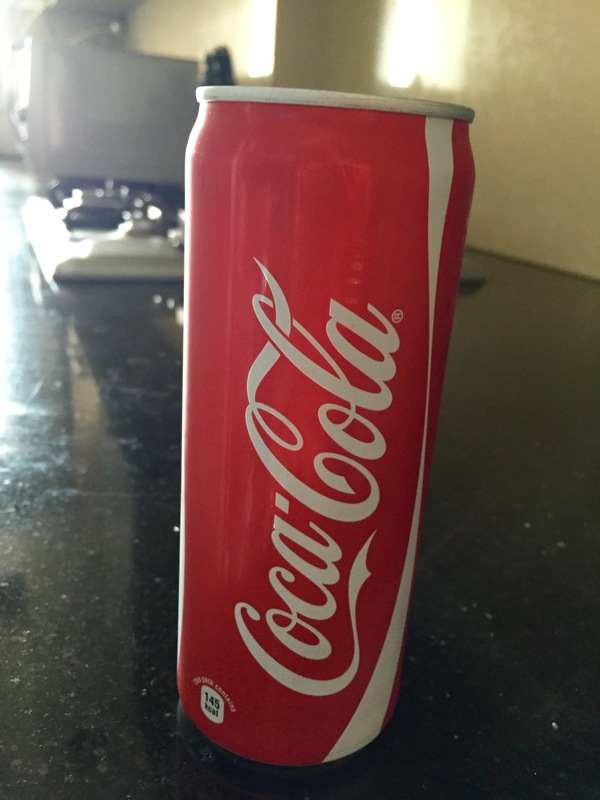 How about a glass of milk or a skinny can of Coke! Want some cereal for breakfast? 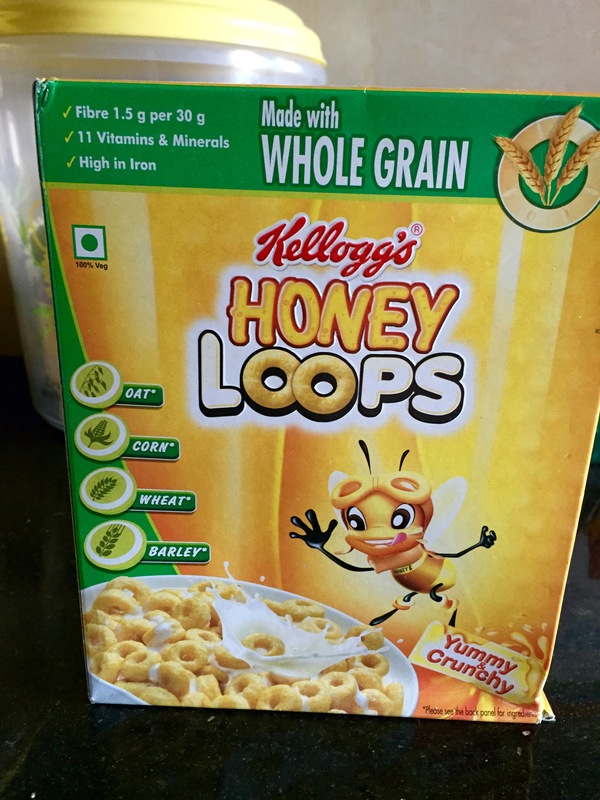 Have some Honey Loops! There are plenty of American cereals as well as variations. 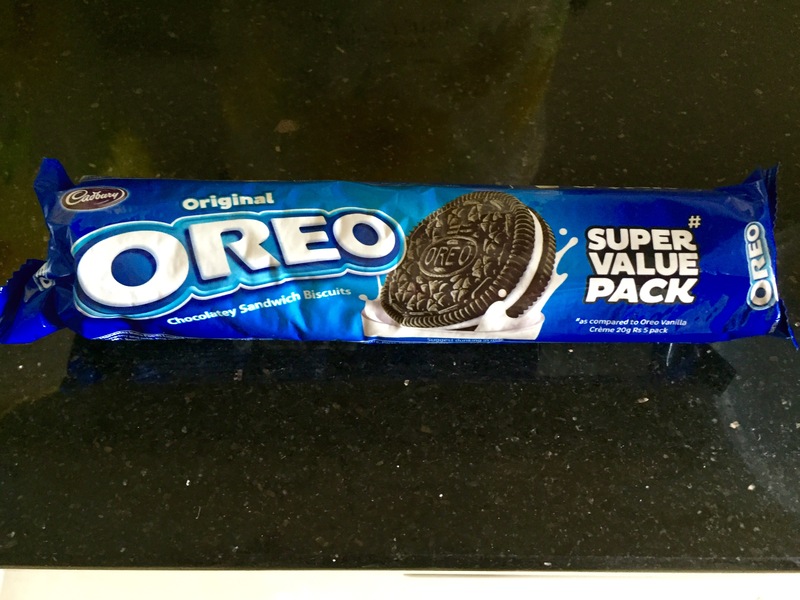 Snack time you can enjoy some Oreos in long, skinny packaging. 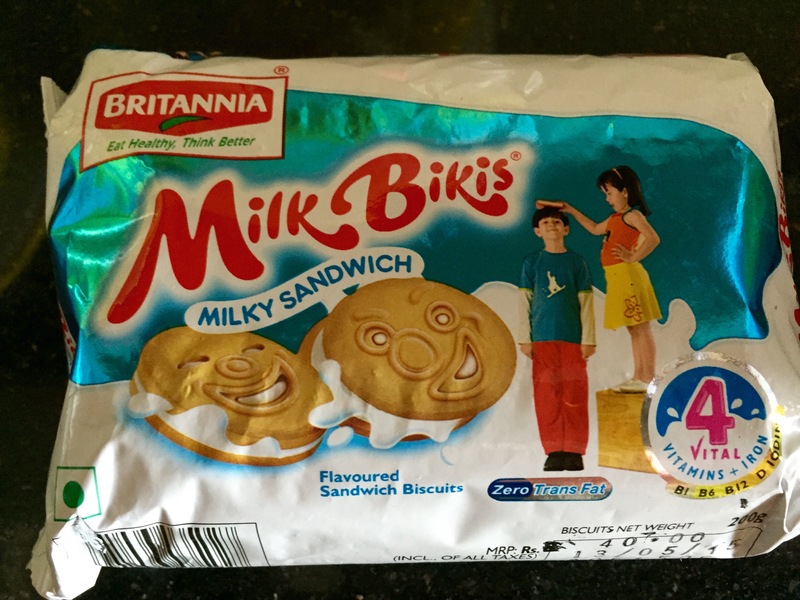 Or you could partake in the cookies Brenda likes, cashew cookies, or the ones I’ve fallen in love with, Milk Bikis, like a vanilla sandwich cookie. 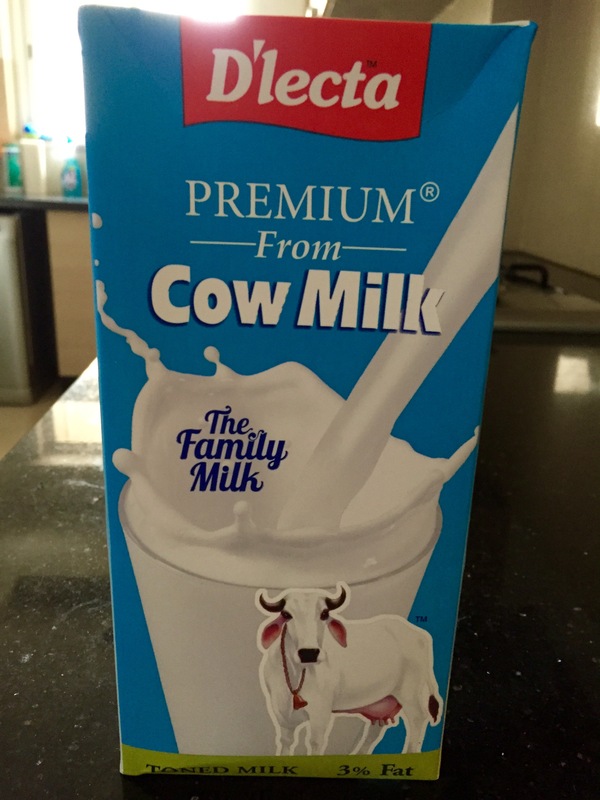 This entry was posted in India 2015 and tagged food, India. Bookmark the permalink.